This graph shows the impact of the replacement of Council Tax Benefit (CTB) with Council Tax Support (CTS). From April 2013, local authorities across England were required to devise their own systems of CTS for working-age adults, and funding for it was reduced. It replaced the national system of CTB which provided support to low-income families to help with their Council Tax bill. Councils had to keep the previous system in place for pensioners. The most common change that local authorities have made from the former CTB system has been to introduce a ’minimum payment’ which requires everyone to pay at least some Council Tax regardless of income. This graph shows how much more CTS claimants pay on average relative to the system of national support before April 2013. 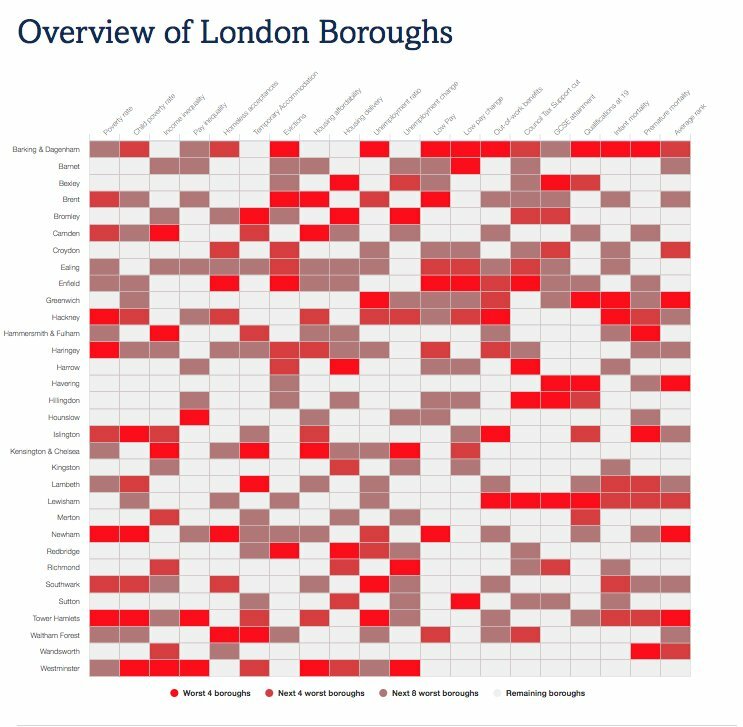 Seven boroughs – Camden, Hammersmith & Fulham, Kensington & Chelsea, Kingston, Merton, Tower Hamlets and Westminster – and the City of London have not introduced a minimum payment or a band cap and so, apart from minor adjustments, their CTS schemes remain similar to the national CTB scheme. In these boroughs, residents on a low income still receive a full Council Tax discount. In 15 local authorities, 200,000 low-income residents pay at least £200 or more a year on average towards their Council Tax liability than they would have under the CTB scheme. CTS is received by families with very low incomes, who are now generally expected to pay some Council Tax regardless of just how low that income is. 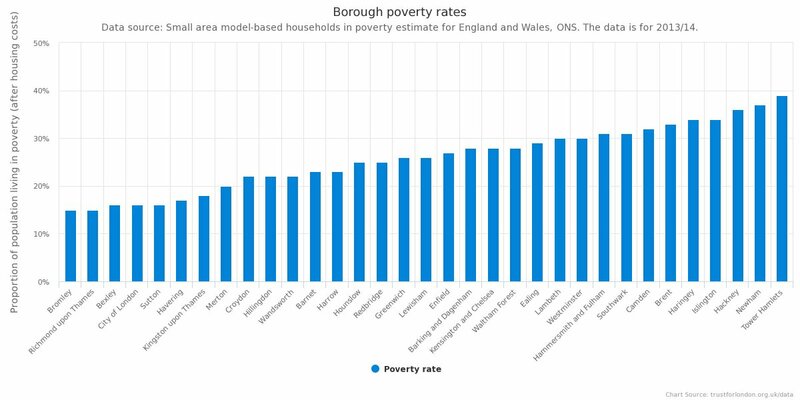 Since April 2013, inhabitants of London with the same income living in neighbouring boroughs may have to pay very different amounts of Council Tax.